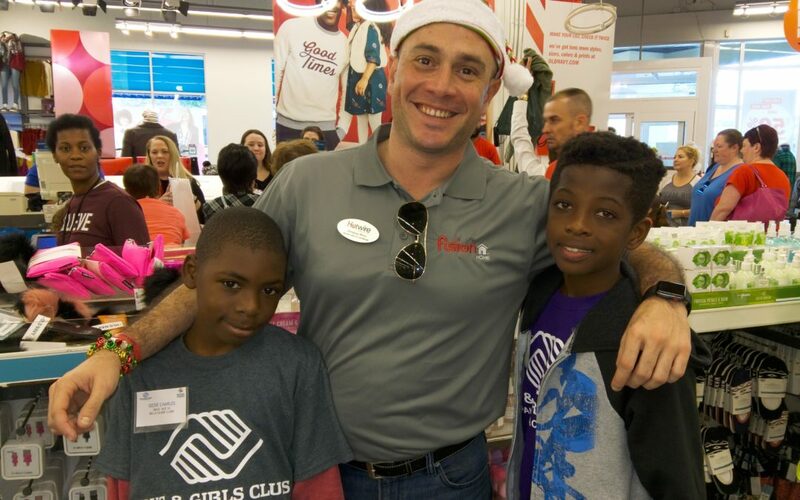 In partnership with the The Boca West Foundation and The Boys and Girls Club of Palm Beach County, Hotwire Communications employees volunteered their time to support 200 area children for the holidays. Hotwire employees got to buddy up with some of the children and go on a shopping spree at Old Navy, each one using a $50 gift card to purchase anything they like from the store. Afterwards, the kids were bused and treated to a theme breakfast with lots of colorful characters to celebrate the day. The children then got to visit Santa and Mrs. Claus, telling them what they want for Christmas, before receiving a toy from Santa. At the end of the event, every child was given a food basket stuffed with all the fixings for a holiday meal with their families, including turkey, ham, and fresh vegetables. Hotwire Communications was proud to support such a wonderful event which brought so many smiling faces to the children of South Florida.